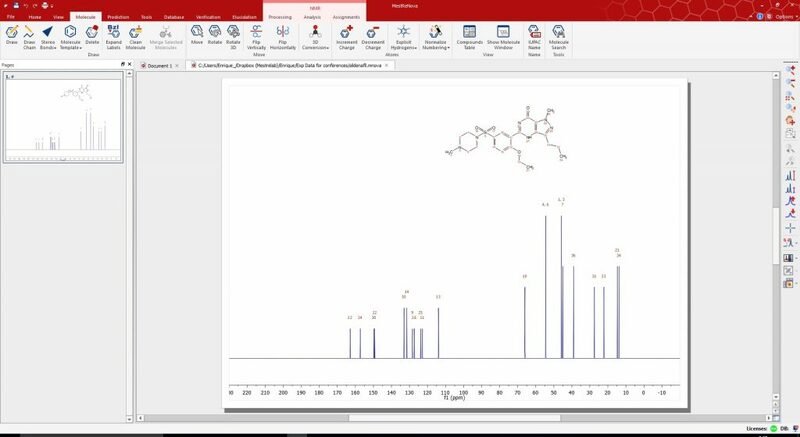 This tool takes advantage of the enhancements within the new molecular editor. 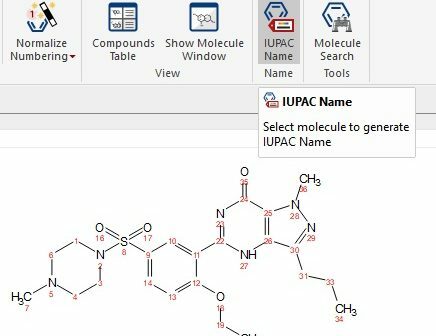 You can now generate the IUPAC name for any molecular structure included in your Mnova document. 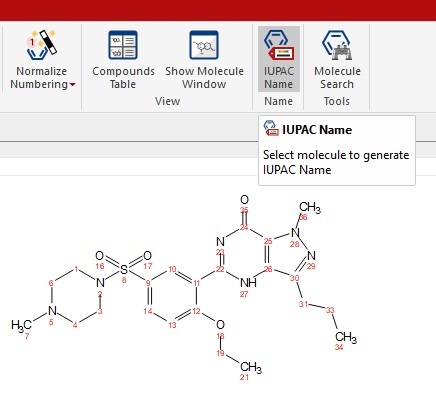 If you are using the new modern (ribbon) display mode you just need to go the menu bar under the ‘Molecule’ section and hit the ‘IUPAC Name’ button. Then you will get a text object with the IUPAC name for your structure which you can fit anywhere around your spectrum. If you have more than one structure in your spectrum you will have to select it first. Why do I get this message if I have a valid Mnova NMR license?